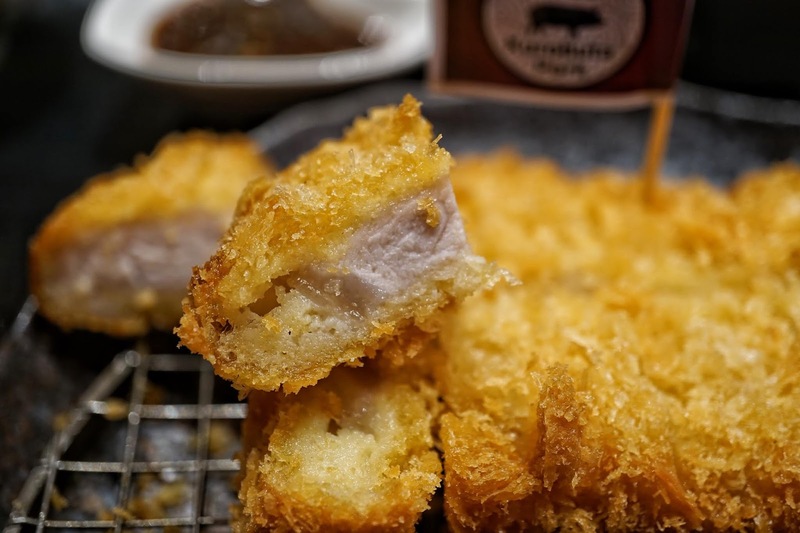 I could never say no to tonkatsu and dinner at Katsu Sora is always a good idea. After all, where else can you grab more than shredded cabbage and more than one option for rice while indulging in crunchy yet succulent pork cutlets? Katsu Sora is one of the best spots to get quality pork cutlets and I was glad that the Tefal team treated us there for dinner after the launch of its spherical pot rice cooker. El Nido is one of the most beautiful spots in the Philippines. With majestic limestone formations surrounding it, El Nido continuously has been one of the top destinations by tourists and locals alike. But heading here used to be a big pain. Without any direct flight to this side of Palawan, one must be prepared for a five to six hour van or bus ride from Puerto Princesa. Thankfully, Lio Airport opened a few years back which serves as the hub of boutique airline AirSWIFT. But just when we thought our vacation would be a blast, things went sour at the end of our trip. AirSWIFT's hub in Manila is at NAIA Terminal 4. Given its tiny space, expect long queues everywhere. A quaint café caught my attention while strolling around Podium. Adorned with flowers and everything dainty, I convinced my friends that we check it out after our heavy afternoon snack. Hello, Ça Va Crêperie & Floral Atelier. It would be hard to miss Ça Va (pronounced sah-vah, French for "how are you doing?") with its prime spot at the Julia Vargas entrance of Podium Mall. Its warm ambiance and feminine vibe was like a strong magnet that lured us into its store. My first Manam experience was love at first bite. From its superb sisig down to creamy leche flan, everything was spectacular and memorable. 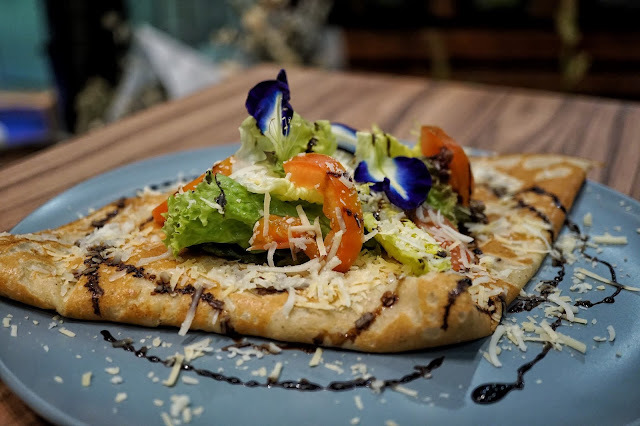 And when Manam opened a spin off brand Manam Café, I was excited and curious at the same time especially after hearing that it offers different dishes. 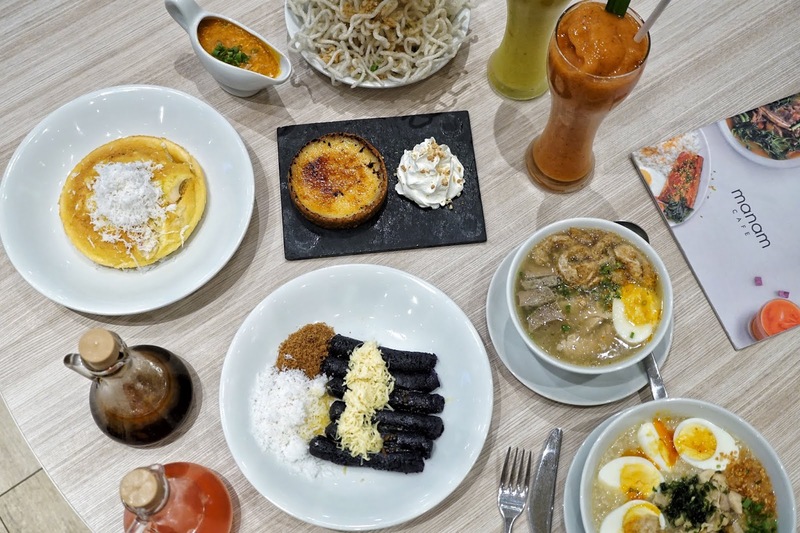 Manam has been one of my favorite Filipino restaurants in town and just when I thought I couldn't love this brand more, The Moment Group has something in store for its patrons, Manam Café. The night was still young yet our bellies were about to pop when we got to our last stop for our Poblacion food crawl. But when we heard "Longganisa Mac and Cheese" we all felt our appetite strutting back and ready for something mouthwatering. And knowing that the talented Raul Fores of Made Nice Supper Club is involved made me even more excited. Nokal or short of North of Kalayaan is a hot spot for night cap. 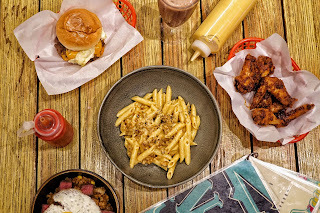 Located along the busy street of Kalayaan, the three-storey resto bar caters to foodies, night owls, beer and cocktail enthusiasts and music lovers. A Poblacion food crawl is never complete without dropping by a bar or pub. 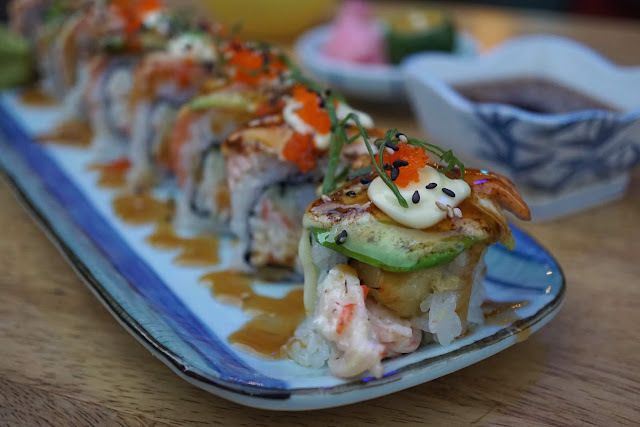 As one of the hottest spots for a night cap, you'd be surrounded by several establishments that offer superb food, beer, cocktails and everything you need to paint the town red. And we made sure to include the popular Joe's Brew in our Poblacion food crawl last month. Joe's Brew is tucked inside the quiet side of Poblacion. It may be a bit hard to find this place with its modest signage but Google Map or Waze's pin are pretty accurate and will lead you to this quirky pub. The scorching heat of the sun and our intense desire for anything cold only means one thing... that summer is finally here! 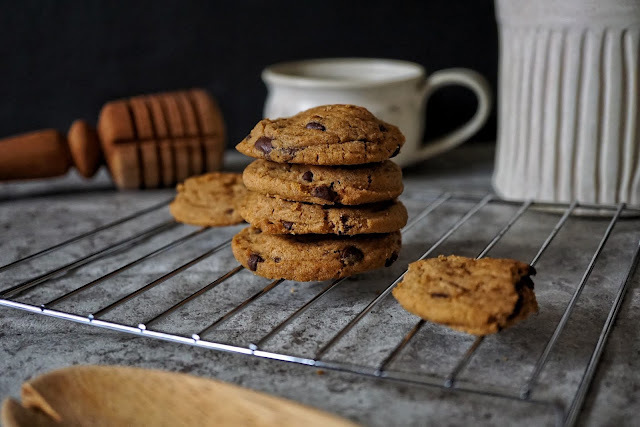 Thankfully, there are a lot of refreshing treats out there in the market to keep us stay sane. And one of my favorite coffee shops The Coffee & Tea Leaf has something to help us beat the heat. 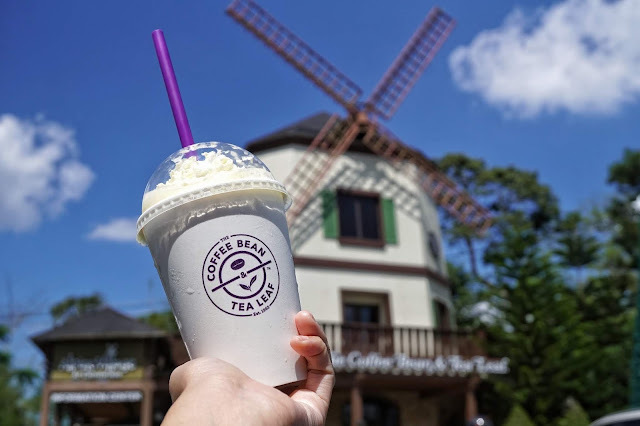 Hello, The Coffee Bean & Tea Leaf. 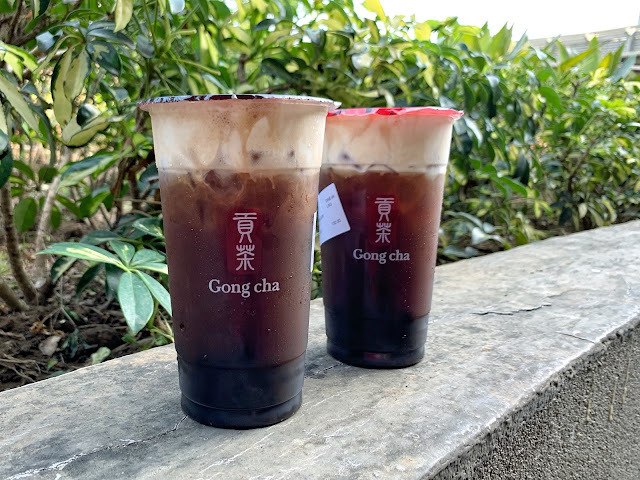 R and I decided to pay its picturesque Crosswinds Tagaytay branch a visit two weeks ago and figured it would be a great idea to try its newest drinks since the cool breeze disappeared on our third day down south. Poblacion was starting to wake up from its slumber when we headed to our next stop. With the sun almost down and traffic starting to build up, we scurry our way to Tambai Alley and headed straight to the last store which is Ebi 10. You might have seen a bunch of posts of Ebi 10's ginormous tempura on social media. Its name alone is a play of ebi tempura. (Well, I just assumed that so don't take my word for it.) But this Japanese store has a lot more to offer. Poblacion has been one of the hottest areas for restaurants these past months. Home of some of the establishments raved by taste makers, taking a stroll in this neighborhood would lead to a gastronomic experience. Such was the case for us last week. And our first stop: Lampara. 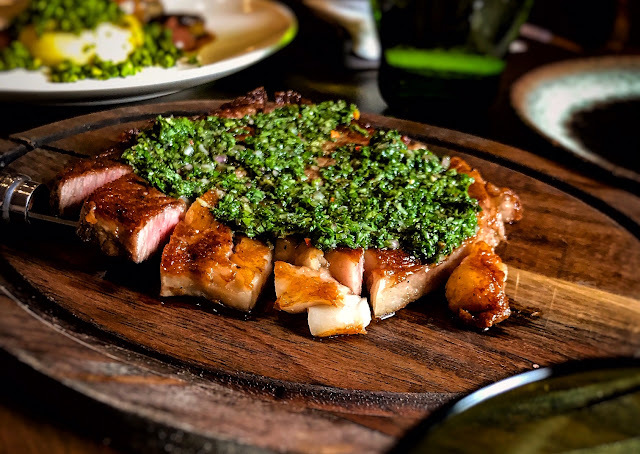 Hailed as one of the best restaurants in the area by respected food connoisseurs, it is not surprising to find Lampara packed as soon as Poblacion comes alive. The influx of foreign brands has been crazy these past years. 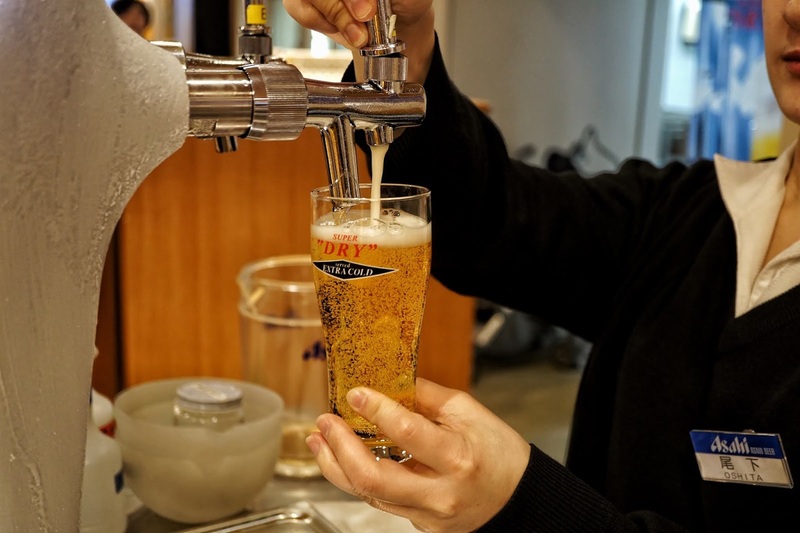 We've welcomed several establishments that we used to include in our itinerary whenever we go abroad. And one of the newest brands to find its way to our shores happen to be the oldest tea restaurant in Hong Kong. 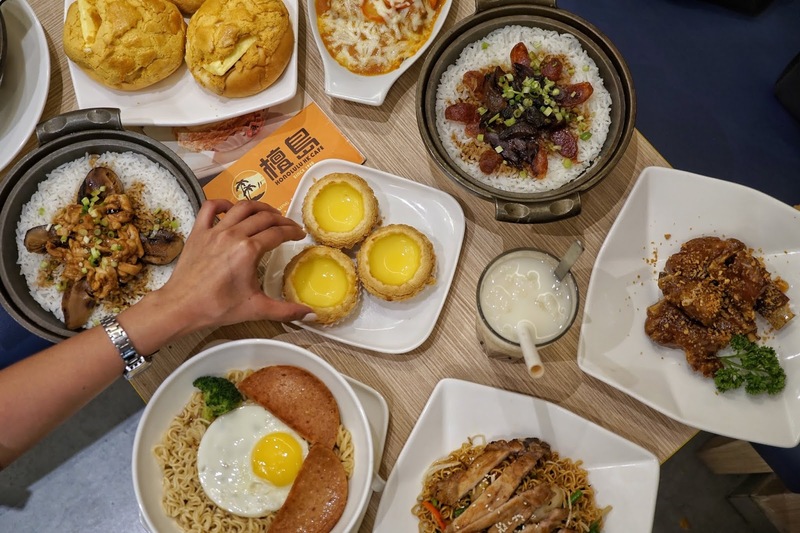 Honolulu Café's story began in 1940 when it opened its first store in Hong Kong serving egg tart, coffee, milk tea, buns and mouthwatering comfort dishes. 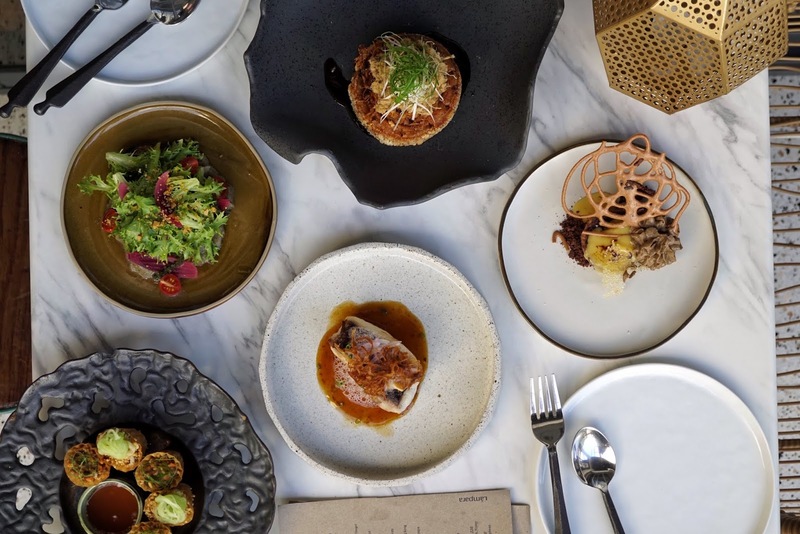 Regarded as the first and original Hong Kong café dining concept, it is not surprising that a stop here is a must for every traveler up for a gastronomic experience. Moving out and living alone is probably one of the biggest decisions I've ever made in my twenties. Though being independent has its perks, one of the challenges I often have to face is cooking my own meals. I was so used to having my mom cook for me and that comfort was gone as soon as I packed my bags and decided to live elsewhere. Thankfully, there are several products in the market that are easy to prepare. 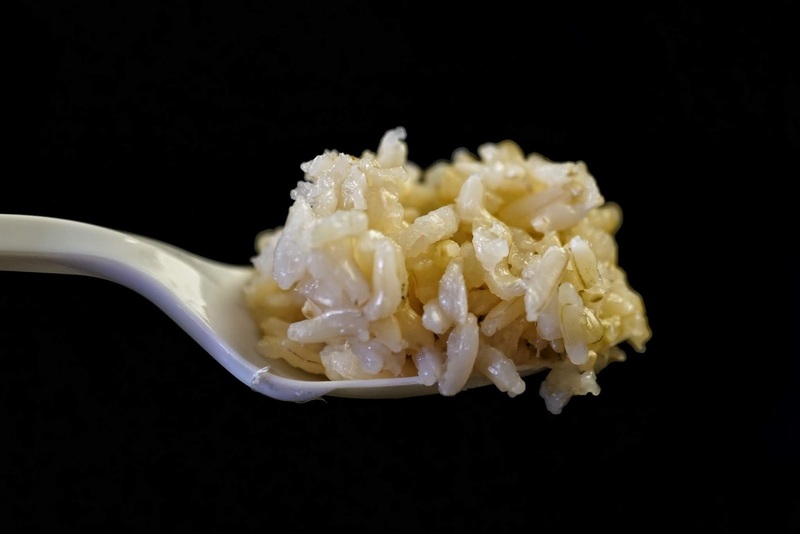 And last week, I discovered something that would revolutionize how I prepare my food. The popular French cookware Tefal has been known for its durable frying pans. But this brand has a wide range of home products that are worth checking out. One of which is its spherical pot rice cooker. Hawker Chan is easily one of my favorite brands last year but it having branches in polar opposites made it hard for me to visit it regularly. 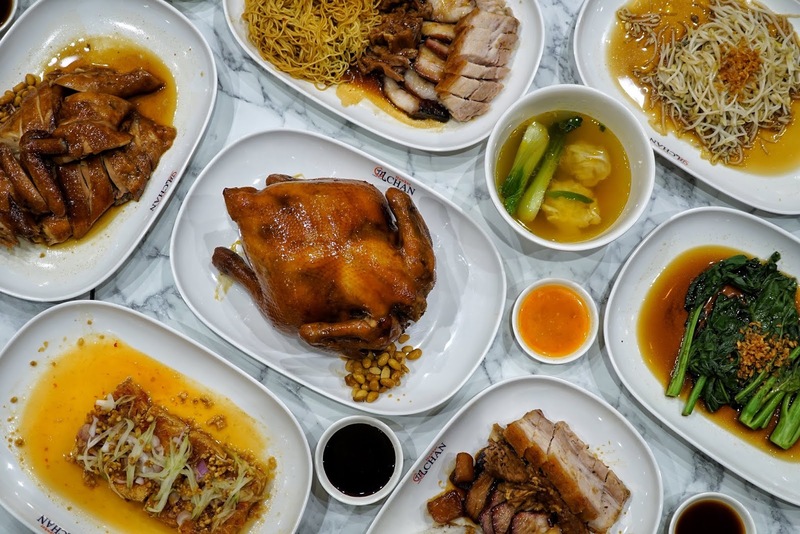 The struggle will finally end though as Hawker Chan opens its Makati branch! Our beloved soya chicken is finally available in Makati starting TODAY, March 4, 2019! McDonald's Philippines just launched something new that would bring Japan's Sakura Festival to our shores. And it is delicious! 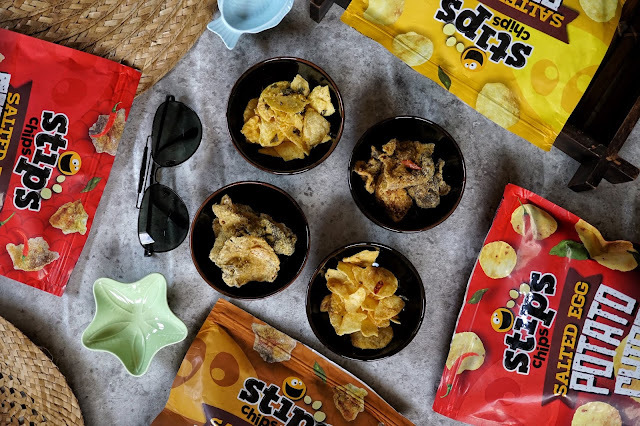 I was lucky to be invited to the sneak preview of McDonald's latest offering-- The Flavors of Japan last February 26 and I had a blast indulging in these new products.